I've never seen this perspective before-- Neat! These flies are tiny if i remember correctly... superb stack ! Those 3 things on its head, are they simple eyes or something? I've always wondered what they were on flies of all kinds. Absolutely Amazing detail, color, and composition! Outstanding Close-up. Well done! 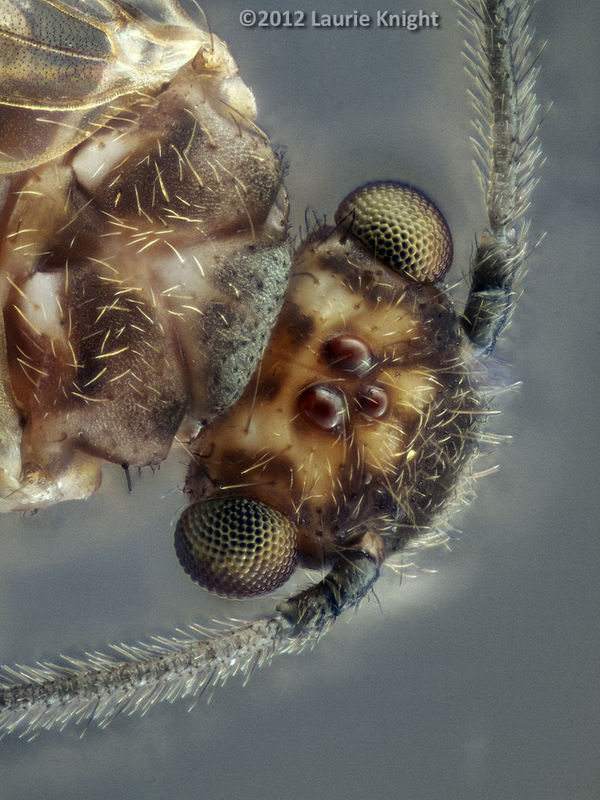 [http://www.flickr.com/photos/sequentialmacro] Yes they are the ocelli or simple eyes, most flying insects have a similar arrangement of three. lot of detail from such a tiny subject.